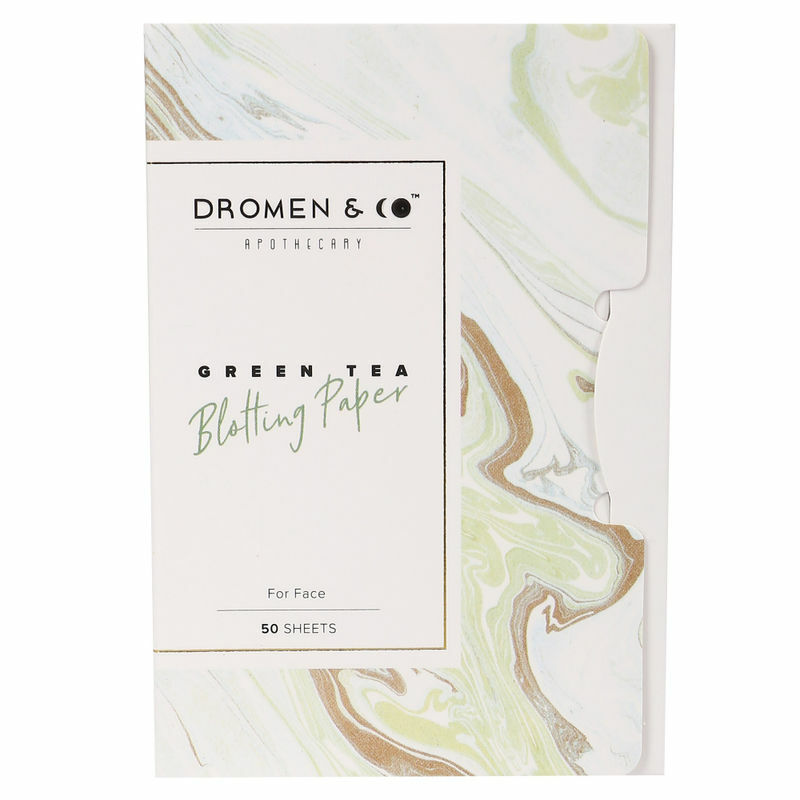 Dromen & Co Apothecary Green tea blotting paper is infused with natural green tea extracts and 100% pure pulp. 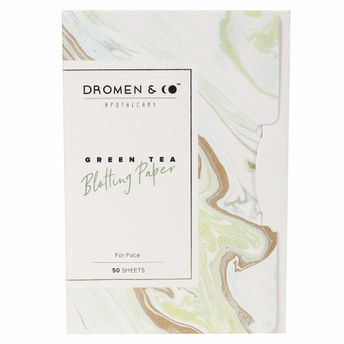 Specially developed for hot and humid environments, this delicate paper is ideal for oily skin. The paper absorbs excessive oil and dirt from the surface of your skin. The green tea flecks/extracts have skin purifying qualities and cures acne. It removes excess shine from the face and gives a subtle matte look. About the Brand: Introducing non toxic on-the-go beauty products with skin-loving ingredients, and exclusive apothecary embodying pure elements for a healthy and rejuvenated skin, the brand Dromen & Co Apothecary offers a unique range of products that easily fit in with your lifestyle with minimal efforts. Highly effective for men and women, the entire range is ideal for today's fast-moving individuals.